No Frills revealed a new surprise coupon earlier today! 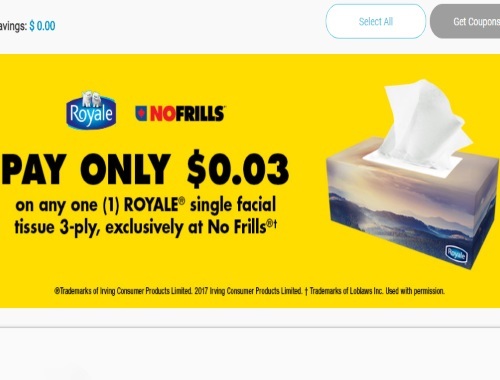 Get a coupon for Royale 3 ply tissues for only $0.03! That is basically free! Coupon is available for a limited time! This is a mail coupon. Coupon is only redeemable at No Frills.